Today’s GAMEDAY @BigHunkBar Awards at #TSLShowcase Miami were DB/S Rush Imhotep, LB La’Kel Bass, DB Glenn Harris, WR Curtis Anderson, and K Alex Knight! Knight excelled at Southeast Missouri State, earning First-Team All-OVC as a Punter. During his final season, he punted 64 times for 2,805 yards, averaging 43.8 yards per punt. He was also named an All-American prior to the 2016 campaign. 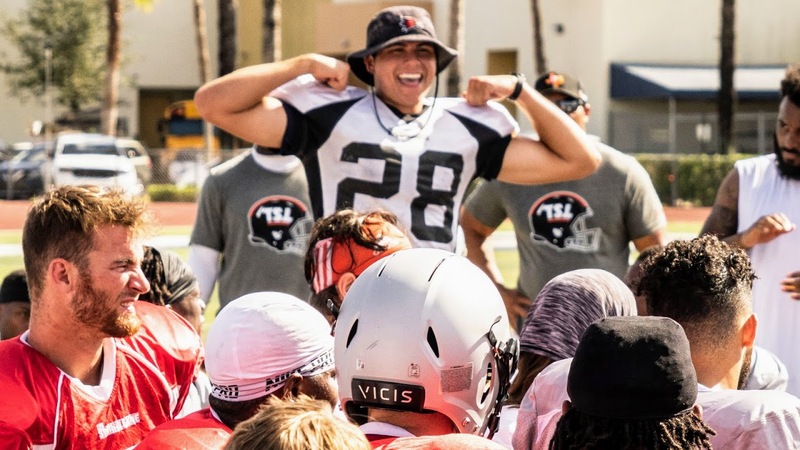 After getting a taste of NFL Minicamp, Knight impressed scouts and coaches with his booming leg and accuracy at The Spring League Showcase in Miami. You can catch his highlight reel here!